Nationally, members cast over 105,000 selections this year, the most since the individual selection process was introduced. To allow members to work on a breadth of issues, the NFWI Board of Trustees has decided to put forward the top two resolutions to the NFWI Annual Meeting in Bournemouth on 5 June. Secretaries: please ensure your Delegate brings the NFWI Annual Meeting pack to the meeting. with subject line Resolutions Briefing Meeting. If no email, please use booking form. Allocation Date is Friday 29th March. Join us on 7th May for a creative and mindful cross stitch Workshop. All abilities welcome! Bring a friend - WI member or not. Local car parking available. Hardback cross stitch books will be available to buy. Bring packed lunch or visit Exmouth market nearby with its continental street food, pubs and cafes. Golf taster session for complete beginner/novice - 15 per group for 30 mins including how to putt, chip and drive. Applications to BucksBoardofTrustees@gmail.com with "Golf Taster Day" in the subject line. Creative Crafts invite you to an absorbing and creative workshop with tutor Christine Green. Using no more than 500 words, WI members are invited to write a piece of science fact, or fiction, describing an historic breakthrough or a future invention - as yet unknown! Four nights Dinner B&B at Eastwood Hall Hotel, a Georgian Country House set in acres of beautiful parkland near Nottingham. Cost includes visits to Bakewell, Buxton, entry to Rockingham Castle, Hardwick Hall, Chatsworth House, horse-drawn Canal Boat trip and Peak Rail journey with cream tea. 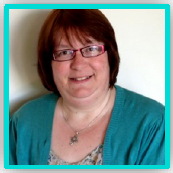 Our entertaining and thought-provoking speaker will be DAWN SAUNDERS who will talk about her work as a Prison Chaplain. PLUS an update on the Care Not Custody campaign and our ongoing work on prison-related issues. Includes tea/coffee , you are welcome to bring your own drinks. Please advise of any dietary needs when booking. Applications to Linda at ScienceSociety42@gmail.com with "Thinking Lunch" in the title. Allocation date: Friday 31st May. In view of the adverse effect on families of the imprisonment of people with severe mental health problems, this resolution urges HM Government to provide treatment and therapy in a more appropriate and secure residential environment. ​More than two-thirds of all men, women and children in prison have two or more mental health problems such as depression and anxiety. Many have a history of attempted suicide and self-harm, while significant numbers have severe and ongoing illnesses such as schizophrenia and personality disorders. Applications to bfwicreativecrafts@gmail.com with subject line "Summer Salads"
* Low poundage bows so no great strength needed and target is set at 10-12m away, so everyone will hit it! ​Bring packed lunch or visit Exmouth market nearby with its continental street food, pubs and cafes. Have you booked your place yet on this great weekend which has become an Annual Event for many Bucks members? Have fun whilst you learn. This year once again we are sharing the College and our courses with members from Yorkshire East Federation. Weekend prices vary depending on courses chosen - from £310+ materials. Two nights Dinner B&B at the Carousel Hotel, a modern AA rated hotel with stunning sea views in Blackpool. Cost includes visits to the National Memorial Arboretum, Medieval Chester, entry to Baddesley Clinton (National Trust). There are limited places which will be reserved on payment of non-refundable £50 deposit.